Have a tough lineup decision or simply need a second opinion? We’re here for you! Flex: Godwin, Ito Smith, or Elijah Mcguire? Mixon is a tough sit but McC is too tough to sit now. Godwin has the slight edge of McGuire but I’m hoping McGuire looks good again. M. Evans, J. Edelman, C. Kupp, or G. Kittle – Pick two. My other WR spot is taken by Mike Thomas. Evans and Kupp for me but good luck with this one. .5 PPR does soften the value of Edelman a bit. Kittle is the spoiler here. Gronk @ TEN – has he regressed to just an ordinary TE now due to injuries? FX: Gordon – Fournette if I trusted him just yet but it’s too soon. Gordon’s production didn’t surprise me and I’ve been waiting for it but most of it did come on one play. That said, he’s going to be a fixture. I want to start Aaron Jones as that just seems to be the best matchup of the bunch and a good shot at a TD. Lewis in a revenge game sounds enticing. Kirk good matchup in a come from behind game script. ARob may not even play. Hilton scares me with the matchup against the Jags. If I chose today I’d probably go Jones and Kirk but seems like I could be convinced any of them. I’m taking the two backs here. Hilton is interesting but the guaranteed touches of Both Jones and a surging Lewis is good enough for me. Kirk is coming on which is great. Thanks for your take on Docston last week. I took a flier on him based on that and he got me exactly what I needed! That said, looking for flex advice again in my deep PPR league. If you had to pick 2, who would you roll with? It’s a veritable trash heap lol, I know. But I’m leaning Docston and Moore. At least he got in the end zone but it wasn’t awe inspiring. I like his snaps and usage though. Right now I’m leaning Doyle just because of the .5 PPR factor. Kerryon has a tough matchup, and I don’t trust the Lions to use him right. Duke has been so extreme, and I can’t afford to get 1-2 pts. Doyle I feel is safest for a 10pt day. It’s between Doyle and Duke. Doyle is just plain solid even with Ebron in the mix. Duke has the upside but Doyle has the role I trust more. Start Doyle but it’s close. Kept it rolling to 8-1 and in a tie for division/bye. Of course my highest scoring week of the year comes with DJ/Barkley/Hines on a bye and PBarber in the lineup. Haha go figure. With my byes all but over, the decisions become harder. Tough call. Went Fitz last week with Ryan on the road and starting Tevin/Julio. He outscored by Fitz by 4. As always appreciate the insight. Gordon is a tough sit. Get that 9th win. I have a team that is 8-1 and one that is still undefeated. Got Brees, TYH, Edelman, Gurley going. Would you start any below over Osweiller? Beasley (1.0 ppr) Cooper clips him? V McDonald (1.5) Ditto; but smell a TD. it’s a bad bye week. No, I’d keep Osweiler in but I hate him … fantasy-wise. But unless you have big point deductions for mistakes, he’s your best option. Sanu would be my second choice. Looking to lock up first round bye in two leagues so advice is very much appreciated. Also have kittle as an option for flex. Currently leaning to starting zeke & Kareem and Evans and Allen with Chubb as the flex but jones and cooks are tempting. In the other league just need to pick one of golden tate, Larry Fitz, Corey Davis, sterling Shepard or devante Parker to start alongside cooks, leaning towards Fitz but so much uncertainty around all of them so I’m easily swayed. Standard scoring also. Nice … congrats. Must have a good start in both leagues. Sitting Cooks makes my heart hurt, especially in standard but that SEA D is for real. This one is difficult. Full disclosure that the expert community is on Corey Davis here. I’m not … I haven’t seen enough. Tate is too new in Philly to trust and Shepard has been good but he’s still a WR2 in that offense. I go Fitz but he may have the lowest floor of the group not named Parker. 0.5 PPR, 12 Team in a tough bye week. Thanks Derek! Music to my/our ears. 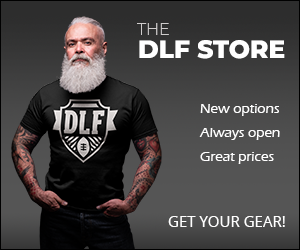 One of the things DLF does that very few other sites do is interact directly with our community rather aggressively. It’s just what we do. It’s tough sometimes as we have thousands of members but I love it myself and am committed to each of you. I very much appreciate you taking the time to say it’s a difference maker for you! 10 team / 10 keeper PPR. 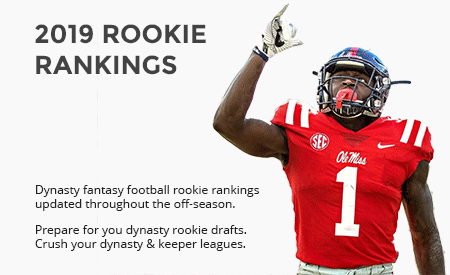 I need one at the flex position: Tevin Coleman, Mike Davis, Corey Davis or The Drake. Currently locked in loaded with Coleman. 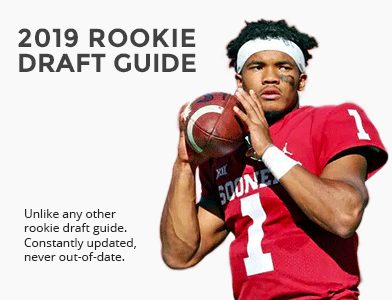 Also thoughts on who has more value ROS: Anthony Miller or DJ Moore. Heya Max … you bet. I hate it when that happens. That’s the problem too with start-sit advice. Sometimes a player will get chances at the 1 yard line and not convert and if they do … it makes the week, if not, they don’t. It’s all about picking the players with the highest opportunities but that doesn’t always equate to results. QB: Ben and Wilson for me. That JAX defense is no joke. Luck isn’t a bad play though. FX: Alshon and …. and…. yuck. Shady for touches but I’m not excited this week. Graham is the spoiler. TE: Kittle. Can’t sit him now. AP and Mack for me as well. I want to start 3 out of these 5 RBs this week. I wanted to put Mack in there, but he does have the Jags defense this week. Definitely leaning Chubb/Coleman…I think. I’ll definitely pass on Drake. Coleman, Chubb and Mack in that order. Drake has a good ceiling but his usage is so sporadic. I think he needs a new team. Back to winning some games last week! Thanks! I have a 0.5ppr, and need a flex. 1pt/10 yards for RB, and 1pt/7yards for TE. I’ve had Kerryon in lately, but he’s underwhelmed with usage and Bears DST scares me a bit. And given the efficiency that TE can score points makes this a quandary. Ekeler hasn’t seen the touches even though Raiders stink, he’s hard to trust. At this time I’m leaning Kerryon and hope that Patricia pulls his head out and uses his best RB more. KJ probably heads to the bench. Unbelievably they haven’t turned the ball over to him in volume. Driving me nuts. But Engram is a TE I don’t trust. I need to choose two of these three for this week. Standard scoring with a bonus for topping 100 yards receiving/rushing or 300 yards passing. Kittle, Juju, and Kupp. Right now I am leaning towards Kittle and Kupp but feeling weird about leaving all of those red zone targets on the bench with Juju. I’d go JuJu and Kupp with that scoring system. I do like Kittle but I don’t expect him to keep producing at that level and just have greater trust of Kupps and Juju’s usage. Kittle is a tough sit for me. Maurice Harris @ TB, Humphries vs. WAS, M. Goodwin vs. NYG. Bad bye week for many … 11 and 12 are brutal too. Goodwin and hope for one long ball. Harris is up and coming but it’s too soon to start him until we see more of a production trend. Forgot to put Chris Thompson in the mix for the first team if he plays. Would think he’s at risk for in-game aggravation, though, with ribs. A bit too soon for CT. Need to see him healthy. Breida and MVS for usage and match-up. I like Davis a bit more but not yet for him …. McGuire is a good long term bet and I like him as a runner but it’s still soon over those other two. Harris is intriguing but he needs to do it again in the next week or two to earn a start over bigger names. Davis and Doctson but this one is risky. ALmost no one is on Doctson this week but I do like his usage, targets and especially his match up this week. Mike Williams is the spoiler here but he hasn’t been getting the targets. Need Ty to walk in FA for that to happen. Hi Jeff, let’s keep it going! 1) 1/2 PPR, I need to start one flex out of Fournette, DJ Moore, Ito Smith or Njoku. Leaning Fournette but his workload questions are scary. 4) PPR, Trey Burton or Jack Doyle? Leaning Doyle because of the floor but Trey is ranked higher everywhere. 5) PPR, George Kittle or OJ Howard? I still don’t trust the 49ers QB situation so was gleaning OJ as the safe play. As always, thanks so much!!! This is almost a coin flip. I like Godwin’s chance this week but he’s been lackluster over the past couple of weeks and Humphries is soaking up the targets. I’d go Westbrook but I’m not excited thee either. IDP thoughts- need 4 linebackers from Leonard, Telvin Smith, Mack, Williamson and Warner. Giants and Bills giving up a lot of sacks and Lions gave up 10 last weekend, Warner, Williamson or Mack? Can’t sit Leonard or Telvin. Leonard, Smith and Mack. Mack is the low floor high ceiling play against DET. Could go either way but the chance for a big game vs. that struggling Oline is too intriguing to sit. Matt Ryan or Jared Goff this week? Oooooh, good one. Ryan away and Goff at home. SEA D is better but I have to go Goff and those weapons. Both should do well but I like Goff a hair more. Trubisky or Luck this week? I can’t believe I’m going to say this but Trubisky. JAX tends to struggle against only mobile QBs. YOu won’t see Luck running much with that shoulder. Their defense is no joke. To the well again, my friend! 12 team ppr SF. Can you rank the following? This is the way I see it, let me know if you disagree. Bonus ponder…any thoughts of starting McCown over Dalton sans AJG at QB2? Feels crazy, but it did cross my mind. Howdy AJ … good to see you. Firstly on McCown … no, I just can’t Understand the temptation though. Down to a flex choice among Amari, OJ, MVS, Kirk, and Crowell. Leaning Amari against the Eagles DBs. Expert community says OJ and it’s hard not to go there. I like MVS this week with Howard as a close second and Amari as a very close third. Kirk is the spoiler here but I’m going MVS as double coverage is shaded to Adams. 1.0 PPR, Single QB, 10 man. Engram and Njoku is a toss up. I’m taking Njoku vs. ATL. Matchup is about even for both. Worried about Mixon against that Saints Rush D, and not sure Green out helps him. Are Chubb and Mack the play here? New week, same TE conundrum. Cook is on my naughty list after last week, so Howard or Burton? Howard is pretty hot right now. WRs are easy this week. The big question to me here is Chubb vs. Kupp. I do like Mixon this week despite the Saints. Chubb is in a major timeshare with Duke and they could be blown out any game. I like the matchup but don’t trust his workload. I’m going Kupp for the PPR and his role in the offense. Man Chubb looked good. Sorry about that. once again a tough decision in my Full IDP PPR 36 Team league. Start Jordan Howard (vs DET) or Tate (vs DAL). I know that Howard is in a committee with Cohen but my Lions are even with Snacks in the Line one of the worst teams in rush defense. Tate on the other side is playing against a good slot defense which allowed just three TDs this season. Who do you choose? Thanks again for the help and greetings from Austria 🙂 ! Hey Manuel … say hi to the group for me. Love our Austrian members/readers! I like Howard this week until we see Tate’s usage. He should be fine but it will take a bit of time to integrate. WRs typically do better more quickly than RBs in a new system but I like Howard’s usage a bit more right now until we see Tate produce. Not playing ARob until I see production. He was fading before the injury so need to see a commitment to him before sliding him back in. Congrats on your win … even before seeing your question. That’s a great lineup. With that lineup I go safety and just post points, that means guaranteed touches. Howard vs. Detroit should produce a minimum of 10 or so for Howard. The floor for Davis is lower but the upside for HOward is higher in my mind. Both leagues this is my “flex” spot. Thanks Jeff! Lockett – More established and decent ceiling. JuJu has a high floor and a high ceiling, I’d go JuJu until we see more progression from Mayfield. Thats where I was leaning as well, especially for the Lockett decision. Thanks! Cam or Luck? Both have done great lately within a few points of each other. Based on the matchups, what say you Kemo? In a vacuum, it’s Cam due to matchup. That JAX D is pretty good. Thursday night has me a bit concerned. Further look at it confirms I’d go Cam. They have both been trending well. Wish Newton was at home but that PIT D is giving up a lot of points to QBs. Appreciate the help as always. 12 team, 1 QB, 0.5 PPR, Full IDP w/balanced scoring. Currently have Sony, Marlon Mack, and Aaron Jones penciled in. Should I even consider Kenyan Drake or Crowell? Gotta go Fitz here right? Leaning Bynes and Bradham here? I would play Van Noy unless we here that Martinez is looking good. Even still, I don’t necessarily trust the injury. Ankle sprains for a LB can be tricky. Van Noy has been posting well of late. Not Crowell but Drake over Sony is a possibility. But the .5 PPR hurts a bit. I’d stick with Sony but it is close. WR: Fitz – Yup. Harris looking good but can’t start him over Fitz yet. TE: Burton but I am liking Herndon’s role. LB: Bynes and Van Noy for me. I like both this week. Bradham is a bit too inconsistent for me. PPR RB2, this is what it’s come to! Is Ingram still a must start? One of those situations where as soon as you bench him he goes off with two TDs. Seriously considering Elijah McGuire over him. Even Riddick feels like he might have a safer floor. So hard to say and Ingram is as risky as they come. I hate big RBBC’s like he’s in. I think McGuire could be the play in PPR and should factor into the gameplan heavily. I’d consider him over Ingram knowing that Ingram could have THAT game. Jeff, BIG game this week. Started 1-4, kept fighting and now 5-4. Game this week has huge playoff implications, MUST WIN. Kenyan Drake or Larry Fitzgerald? I needed a WR3 badly and just picked up Fitz today, Drake scares me, every time I play him he busts, every time I bench him he booms. Tempted to throw in Fitz against KC D but not confident in either. Hey V., nice come back from that start. It’s been a bit of an odd year. Let’s see what we can do. Not wild about Larry’s matchup today believe it or not. Kendall Fuller has been pretty good. But the Cards will be throwing a lot. That said, I think Drake is going to be heavily used in the passing game this week. Who gets the TD is a toss up but I trust Drake’s usage far more today and think he has a chance to get a long one on a wheel route or screen pass. It’s very close but Non PPR is the difference here. You nailed Drake though with his boom or bust antics. If it looks like you’re an underdog, I’d definitely play Drake … but if you’re afraid of getting a low floor …. Fitz is okay here, safer but lower ceiling. That’s a great start from Ben … unfortunately, I’m squaring off against him in a couple of big leagues. No, you have the best lineup … scary good with a monster ceiling. It will make itself each week. These days, you want to see Stafford starting against you. Who to start in a PPR league: Aaron Jones or Mike Davis, and Prescott or Bortles. Thanks Jeff! Jones in PPR with his new role. I’m going Bortles here, don’t want much of Prescott in Philly but he’s starting to turn it around. It’s amazing to me that up until this year they were calling Dak the savior and then they dump/lose all their receivers and all of a sudden he’s not the future …. and Zeke is pedestrian. Hmmm …. maybe a good receiving corps is important? Have 2 flex spots open? Cooper, Golladay, Alshon, and Dion Lewis (Leaning Cooper and Alshon though I do start Ertz at TE, the AJG injury is hurting me). In PPR, I think the guaranteed touches of Lewis is too much to pass up right now. See my recent player update note (main page) about his usage and production. His floor is climbing steadily and now his ceiling is in the 20s again. Good enough to start for safer points. I’m not excited about Golladay this week. Losing Tate is hurting him and he’s up against CHI and Kyle Fuller …. not good. Cooper is going to get double teamed all over creation now. I’d go Alshon and Lewis. Even Alshon’s matchup isn’t great but starting him via elimination of the others. Thanks as always for all the advice! QB: Fitz vs Wash or Luck vs Jax? Def: jax at IND or LAR vs Seattle? Absolutely Patrick … thanks for calling DLF home. QB: Here’s a trap play for you. That Luck play vs. Jax isn’t good but I hate sitting him. I’m starting Fitzmagic here but one game out of three he’ll blow up and nearly be benched. Gordon and Alshon for me. I hate how they’re using KJ and that offense isnt’ the same with Tate out of the mix. Chubb – This one is VERY close. Love the matchup for Chubb but he’s a bit Jekyll and Hyde should CLE be blown out. I like his chance to get a lot of work today. But if Gordon catches the long TD today, he’ll be the spoiler. Locket and ARob – Not inspiring but Robby should be down today and it’s too early on Harris. This last one is interesting. Ingram is the clear play but if you are an underdog and need the higher ceiling, MVS is my play but he’s hard to put in over Ingram. His ceiling is higher but his floor is lower. 1/2 PPR. As much as I want to start all 4 of these RB’s, I have to bench one of them. Which one of these 4 would you bench/NOT start? Thanks in advance. You guys are the best and I certainly plan on re-upping my annual membership, despite the price increase. Keep up the great work!! (I’ve been trying to trade Rivers or Ryan, but no one wants a QB, and I can’t cut any of them). Thanks again! Good luck here because all of these options are in the top 7 or 8 this week. Ryan – He’s your high ceiling play with more risk at CLE. CLE has been okay vs. the pass except for Mahomes. I start Rivers for safety and upside. I don’t see him letting you down with that matchup today. My big question of the week is Luck vs Dalton. I’m leaning Dalton, but last time I got cute with match-ups Luck threw 4 TD’s against Buffalo and Dalton did nothing against KC. So…? Classic high ceiling low floor risk play this week. This is a coin flip. Dalton has the matchup but I have no idea who he’s going to throw too …. I expect Boyd to get a lot of double teams with AJG out. Luck is up against a tough JAX defense that can lock down opposing QBs if they are on their game. I start Luck as I think his floor is higher. No way to tell who ends up having the better game. It will be cold in both settings. Checking expert consensus rankings, both QBs are right next to each other in QB rankings as well. In start/sit rankings (polling 126 experts), Luck has the edge 79/21. I’m never afraid to go against the consensus but wouldn’t this week. It’s Godwin vs. Davis for me here. Fitz is back in which helps Godwin. Davis would be the play for guaranteed touches IF Carson is down but you probably won’t know that until it’s too late to play Godwin. Godwin plays early, Davis late. If news emerges that Carson is out, go Davis. In the absence of that, Godwin. The PPR helps. Carson is hurt and you can’t rely on Drake, even in Non PPR due to usage and Gore in the mix. Michel is back this week but I can’t trust him yet though I want to in standard formats. Jones and GOlladay are hurt with Tate leaving and that offense has changed. LB: Tough call here and can only start one? If you want safety, probably Smith or Warner. The Mack upside is huge this week but his floor is low as well. I like playing big upside defenders so my order would be Mack, Warner and Smith. If you don’t want that risk, put Mack third. WR: Doctson – Good matchup. I want to play Parker in a decent matchup but he’s all over the place. FX: Yeldon for receptions. Parker has the ceiling this week if you can stomach a one catch, 18 yard performance. Hey Jeff, first time posting but long time reader. Welcome Marty …. thanks so much for being a long time reader of us. Much appreciated. Glad you dropped in as well! Your boom or bust play is Smith. He’s finally going to be getting some significant snaps but he’s pretty risky as well and would not start him over Doyle or Amendola. But he’s got upside this week if your want to jump the shark. Doyle is back and is a favorite target of Luck’s. I think he could have a fine day but that JAX defense is the real deal against QBs. Doyle and Ebron are still splitting time. Amendola against GB is going to get a ton of looks this week. Not sure he score but he’s the safety play in that his floor is probably about 10 points and I think his upside is 22 or so. I figuring on about 15 for him this week. Good enough to start from this bunch. Several questions regarding the return (maybe) of Michel. At least the 1pm start helps versus last week. Give me your wisdom and insight on each if you can. Flex Michel if healthy, or put in TYH, Baldwin, TreQuan or MVS in his place in his return from injury? 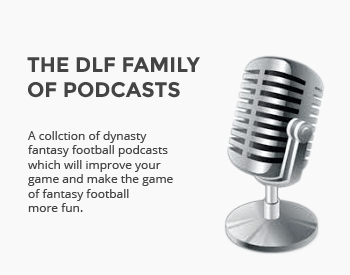 Different league still PPR – Michel or DJ this week? If Michel is out, flex Shepard, Mike Williams, Cole, or Werstbrook? Crowell or Mike Davis if he starts for Carson? Jalen Richard seems to getting the passes for PPR but little shot at scoring. Flex in Lockett, David Moore, or Mike Williams instead? I know you usually don’t like replacing the #2 QB in a superflex, but with Stafford going into Chicago, would you think about replacing him with Michel if active? He’s on my bench right now since my starters are Hunt, Tyreek, and OBJ. With Flacco on his bye, and no 2nd QB flex available on waivers, would you plug in FlashG, Baldwin, David Moore, TreQuan, or Mike Davis if he’s in for Carson? Thx and sorry for the extra questions this week! If Michel is healthy, I play him above all except maybe MVS. If Cobb is down, I play MVS over Michel for upside. PRoblem is we may not know if Cobb is down since they play late. My gut says MVS either way. Michel may be the safer play but that upside of MVS is intriguing this week. TEN is pretty stout against the run. Michel should be up but it would be Shep if he’s down for some reason. Davis IF we here Carson is out. Crowell in other cases. Which means it’s probably Crowell. Davis if you want to take the risk that Carson is down. I’d go upside of Lockett, bonus points if you get special teams return yardage. Lockett and Moore are almost a toss up as to which one scores. Richard is just too inconsistent. You’re right, I don’t like taking out that 2nd QB but Stafford is a candidate for that this week. I actually have him in a 2QB league and had him not starting but when Big Ben went off against me, I’m putting him in now. Funny in that I would have been starting Michel over him so I have the same question. But now I need big upside and have to risk Stafford. I don’t see Michel scoring big back from injury. I’d keep Stafford in as it’s too early to panic but I hated what I saw last week. Every other week after week 1 he put up 20+ (depending on scoring) until last week. CHI is tough though. Gordon this week. Davis is interesting if Carson is down but NE plays early. I think Gordon has a good day. The Pats have something special with White and Gordon. Either the D gets burned long if the cheat up, or they get burned with White if they play over the top of Gordon. In a non PPR league, I need a flex. Chubb, Mixon, or Mack. My starters are Gordon, Hunt. I’m leaning towards Nixon. Thank you, sir. Mixon is the play but at the same time, I’m not excited about the matchup. Mack is probably the spoiler here. Mixon is going to get a chance but I’m worried the Bengals are going to be out of this one early. Chubb looked great … wish I had said Chubb here.